Currently a huge portion of my time is spent deciding how to store our clutter more cleverly, particularly as we are renovating one of our downstairs rooms at the moment. This Guest Post gives some great tips on how to use storage to best effect, something those of us with children are really grateful for. There is nothing worse than living or working in a space that is constantly cluttered. 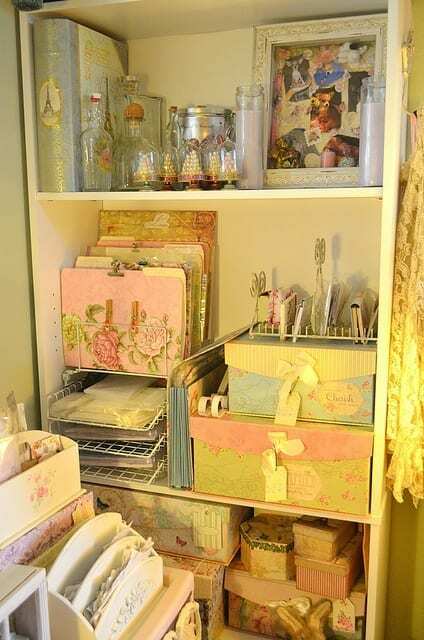 An untidy room is a distraction that makes it difficult to concentrate. Whether you’re cooking in a kitchen stacked with bits and pieces leaving no available space, or trying to relax in a messy living room, doing anything in a cluttered home or office is difficult. Family life tends to make matters worse, as toys seem to creep into every room in the house. 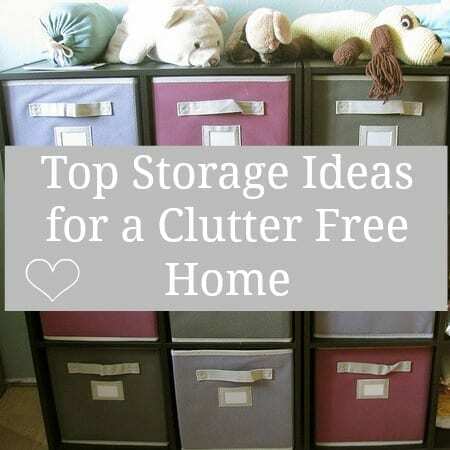 Fortunately, there are a few things that can be done to make life easier and to help create a clutter free home. It is best to make the most of the available space in a home, and floor to ceiling home storage units do just that. Whether you’re hanging clothes or displaying books, placing storage units as high as possible provides additional space. Also remember, sliding doors on wardrobes take up less room than doors that open outwards. Where there are open shelves or clear surfaces, for example on the top of a chest of drawers, it’s best to use magazine racks or attractive storage boxes to keep your things tidy and free from debris. With a little bit of thought they can blend in with the décor in a room, as both classic and contemporary styles of storage container are available in most good department stores. The cleverest ideas for keeping a home free from clutter are sometimes a bit unusual; for instance, try hanging handbags and shopping bags on shower hooks in a wardrobe rather than leaving them lying around, and use trouser or skirt hangers for storing wrapping paper – simply clip the sheets on and pop them into the wardrobe next to the handbags. Recycling is a good de-cluttering exercise that can free up more space. Clothes and toys can easily be recycled via the local charity shop. The same goes for other items that are not needed or in everyday use – odd chairs in bedrooms, for example. Some local authorities and charities will collect redundant furniture and equipment, so make the most of these removal services. Sometimes households become the repository of family heirlooms or artefacts that the homeowners may not want to dispose of, but don’t really have the storage space to keep. If there are paintings, furniture or other household items that will one day go to the children or grandchildren, they can be securely packaged and put into cheap storage units in an offsite facility until they are needed. Offsite storage facilities are also great if you need to keep your things in a secure location when moving to a new house of office; packing up the least used bits and pieces and storing them until the move is completed makes it possible to then decide what is really necessary to keep upon relocation. Although it is all too easy to shy away from clearing up the disorder that clutter brings to the home, or to keep putting it off, there’s a great sense of satisfaction and achievement when the deed is finally done. Super article, good idea and great information for this post.